We spend a lot of time in the kitchen here in our our little corner of the world! 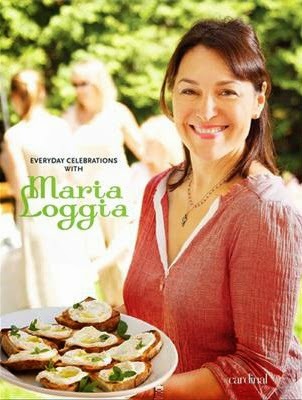 Today, I am excited to join the spotlight book tour for Chef Maria Loggia's book: Everyday Celebrations with Maria Loggia. About Everyday Celebrations with Maria Loggia. Maria Loggia’s kitchen door is always open. Her home and garden are a gathering place for friends and family, who come to share her easygoing enthusiasm and generosity – and her inspired Italian cuisine. In this, her second book, Loggia celebrates the seasons with 16 sumptuous menus – from a spontaneous al fresco garden party to a slow-simmered midwinter feast and a traditional Sunday family lunch. 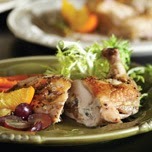 Try One of the Recipes from the Book! Maria Loggia is one of Montreal's best-loved Italian cooking teachers. Her Tavola Mia cooking school in the village of Hudson is a warm, inviting place to learn about Italian cuisine. She also appears regularly on television, is featured in newspapers and magazines, and leads culinary tours in Italy. Maria finds inspiration in her Italian heritage and draws on family recipes that go back generations. 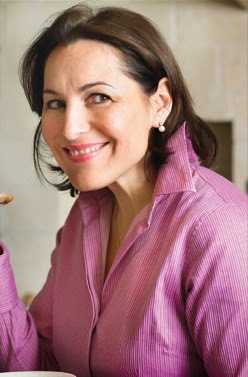 She founded Tavola Mia, her at-home cooking school in 1999. Through her study of Italy's regional cuisines, which has included numerous sojourns back to her native country, she has acquired great expertise in the art of Italian cooking. Her passion, humor and dedication to excellence have made her an inspiring teacher. Using fresh local ingredients, Tavola Mia celebrates the seasons in authentic, irrepressible Italian style.